54-years after the original ‘Mary Poppins’, comes the sequel to delight the children with magical wonders and fun, and connect the elders to their childhood. 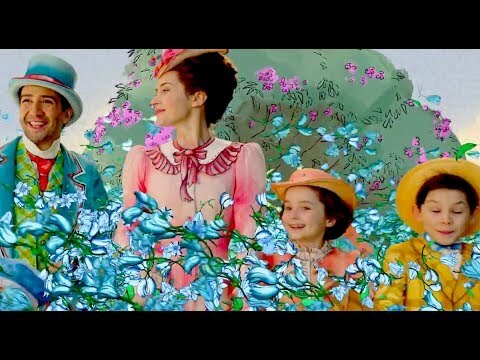 Mary Poppins Returns will warm you heart and keep you smiling throughout and after, just like the original classic. The original Mary Poppins, released in 1964 was an adaptation of P.L. Travers books with the same name. Decades later, Travers sold the rights to Walt Disney, who made a movie from books with Julie Andrews playing Mary Poppins. Andrews continues to be memorable as Mary Poppins with her remarkable and assured performance. The movie turned out to be one of the biggest successes of all times. A sequel to such a highly ranked classic will set expectations. Comparisons would be inevitable. Director Rob Marshall, the cast and the crew of Mary Poppins Returns deliver beyond expectations. The story has been cleverly knitted around the original, except that it is set past 25 years, when the Banks children have grown up. Michael Banks (Ben Whishaw) has recently lost his wife, and is struggling to make a living as an artist and manage his three children. Jane Banks (Emily Mortimer) is a labour activist, who is trying her best to support her brother in every way. Things get worse when the Banks are about to lose their family home as Michael is unable to pay mortgage instalments. While Michael and Jane are looking for ways to save their home and source income, the children are grieving the loss of their mother while also dealing with the struggles of their father. This is when Mary Poppins (Emily Blunt) pops in! Mary Poppins, who had been a nanny with magical powers, to Michael and Jane, is here once again in their hour of need. She takes the children through an experience of adventure and wonderment, backed by a series of musical scores. She sings and dances, and plays tricks and magic. She sets them free of their grief and struggles, and connects them to their childhood again. Well, she does that to Michael and Jane too! The movie is supported with excellent soundtrack and great choreography.‘The Place Where the Lost Things Go’ and ‘A Cover Is not the Book’ are particularly notable.‘A Cover Is not the Book’ is also visually captivating with its 2D visual effects. 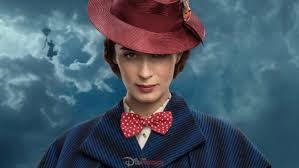 Though all actors have given their best to their roles, Emily Blunt stands out as Mary Poppins, and will surely become as memorable as Julie Andrews. Costume designer Sandy Powell’s work has added to the overall charm of the movie. A great movie for some mindless fun!